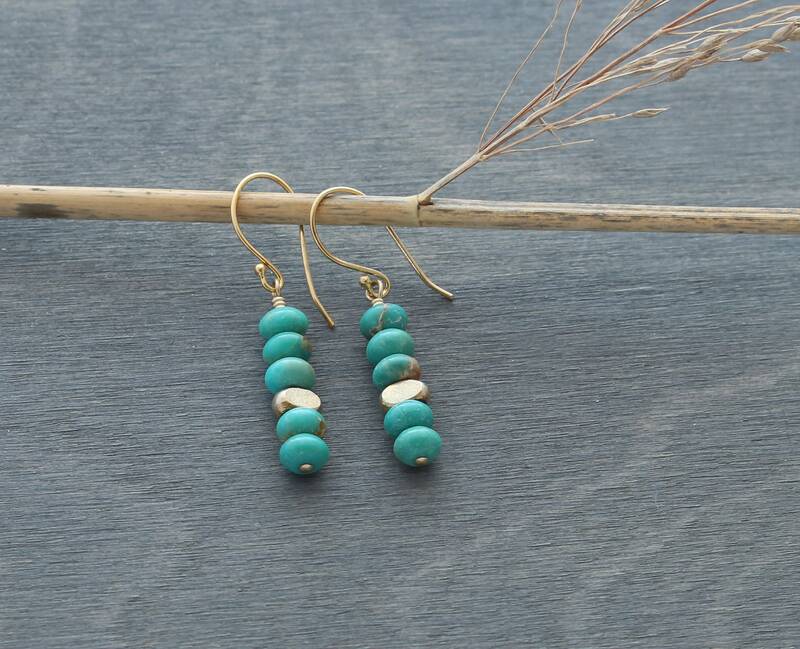 These small, bright drop earrings are an easy way to add some vibrant color to your day. 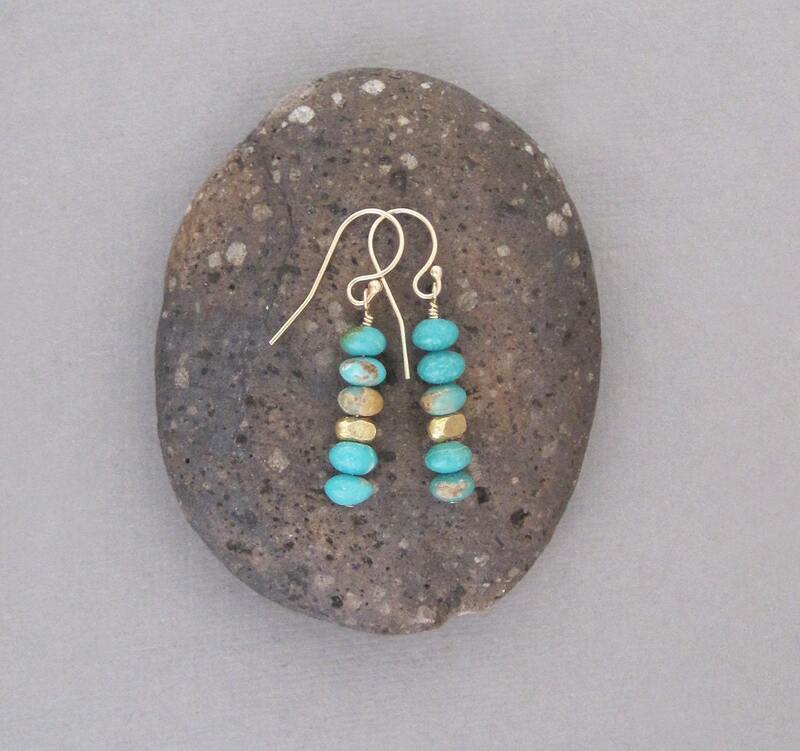 The smooth beads of turquoise are from the Turquoise Mountain mine in Kingman, Arizona. 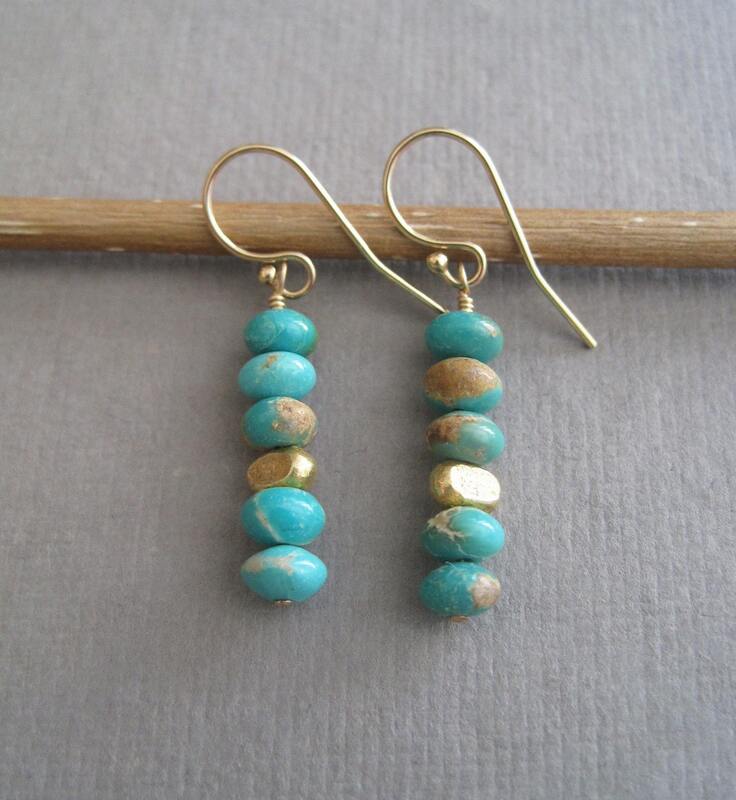 American turquoise is some of the highest quality turquoise in the world: it is never dyed or stabilized. 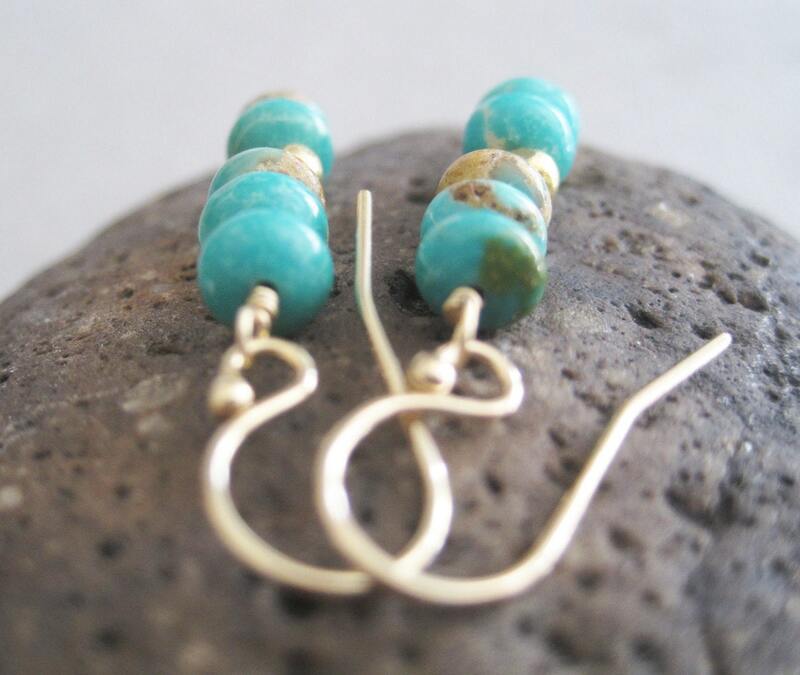 These beads are a beautiful, bright aqua blue with touches of green and light brown veining. 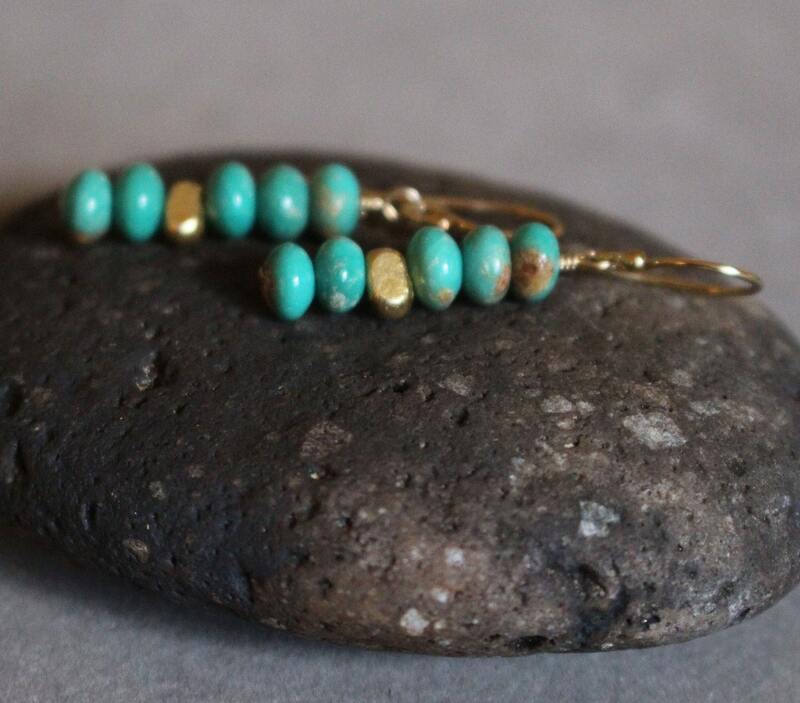 The turquoise is interrupted by lovely pebble-shaped sterling silver Hill Tribe beads plated in gold from Northern Thailand. 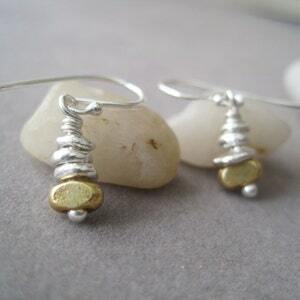 All of the wire (including the earwires) is 14k gold fill. 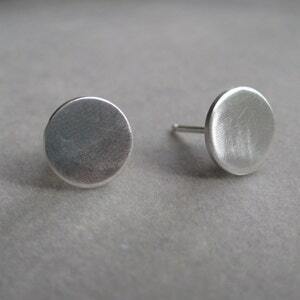 These are 1/8 inch wide (5 mm) and are 1.5 inches (33 mm) long. 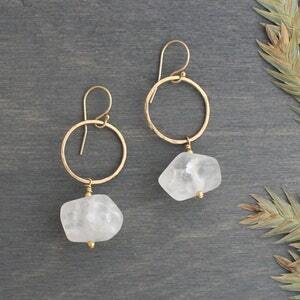 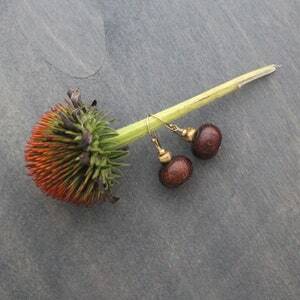 The earrings are extremely lightweight and easy to wear. 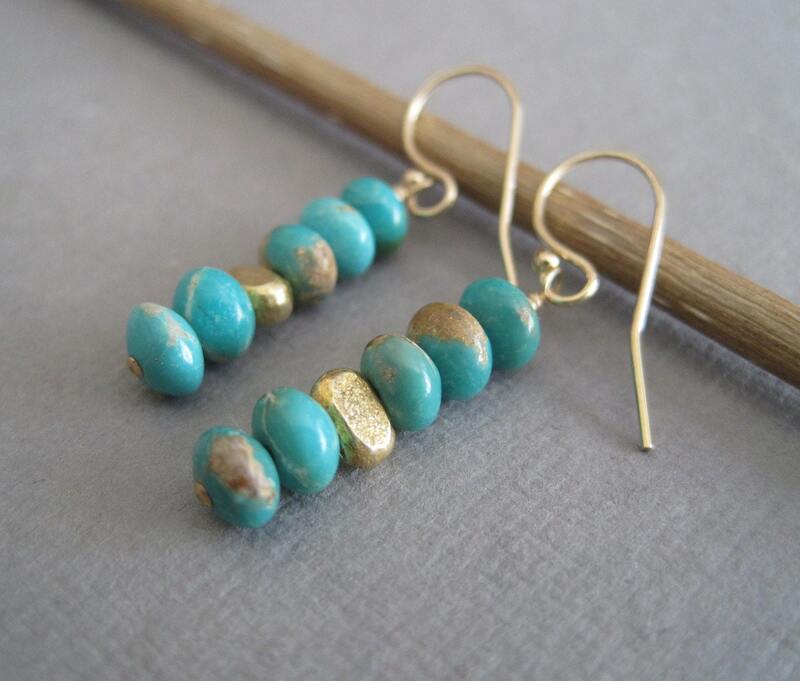 The contrast of the rustic turquoise and the rich look of gold give them a contemporary look.